When Steam Early Access just isn’t enough, what do you do? Well, you make your own “Earliest Access” scheme, of course. That’s what Gaslamp Games is doing for steampunk/occult crossover city builder Clockwork Empires. Ahead of the game’s launch on Steam Early Access in August, Clockwork Empires will be available directly from Gaslamp in an early manifestation. With the experience of this preliminary playtesting under their belt, Gaslamp will then be ready to launch on Steam Early Access, where it promises to deliver new content each month in the run up to final release. The team anticipate that this will be somewhere within the region of nine to twelve months, but refuse to commit to a release date. Paying for Earliest Access now gets you all the familiar benefits of Early Access, simply with another phase added on top. Earliest Access will be purchased through the Gaslamp Games website, but when the game hits Steam purchasers will be provided with a Steam key for the newer version. Then, when the game finally goes full release, the key will be upgraded to the final version. 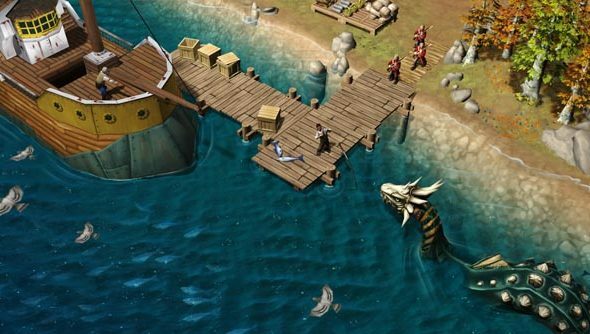 You can purchase Clockwork Empires’ Earliest Access version from July 18th. If Rob’s preview of the game is anything to go by, it could well be something worth investigating.